Add a little spice to your morning! 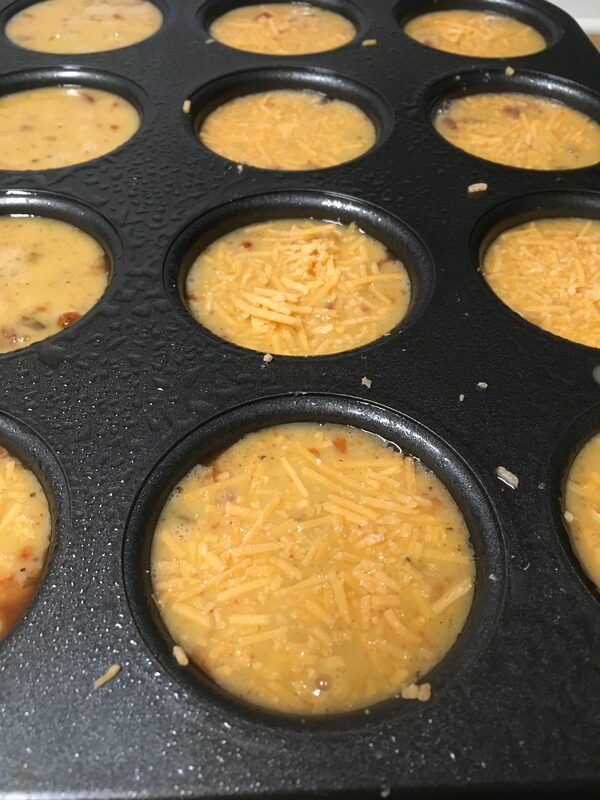 These egg muffins make for a balanced breakfast that’s perfect for #TacoTuesday or Cinco de Mayo. Preheat oven to 375 degrees. Spray muffin pan liberally with cooking spray. In a large bowl, add eggs, milk, taco seasoning, and pepper. Whisk together until well combined. Add green chilies evenly in the bottom of each muffin tin. Pour egg mixture over chilies. Then sprinkle cheese on top. Bake for about 15 minutes. Let cool for a few minutes before removing muffins from tins. Serve warm with a spoonful of salsa on top. You can also garnish with cilantro, sour cream, or olives.